Automated processes (business rules) based on "Best Practices"
Back Office and Website Integration - Draw valuable customer information for strategic analysis, improved customer support, and enhanced marketing initiatives. 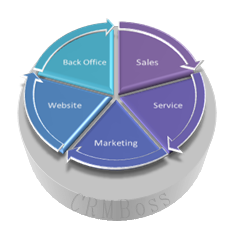 The CRM Boss™ (Customer Relationship Management Business Operating Software System) core components are Marketing Automation, Sales Force Automation, and Customer Support Automation. Successful companies promote Customer Relationship Management as a business culture to "Attract and Keep Customers for Life". ACW Solutions' CRM Boss™ builds on proven CRM technology by making CRM components easier to use, applying 'best of business practices" and integrating existing back office systems for a complete business operating software system (Boss).